Joey Alexander is On Tour! Josiah Alexander Sila (born June 25, 2003), better known as Joey Alexander, is an Indonesian jazz pianist and child prodigy. He released his first album, My Favorite Things, in 2015 at age 11. He taught himself to play jazz at age six and has performed for Herbie Hancock, Bill Clinton, and Barack Obama. In 2014, Wynton Marsalis invited him to play at Jazz at Lincoln Center, which made him an "overnight sensation", according to The New York Times. He won the Grand Prix at the 2013 Master-Jam Fest and performed at the Montreal and Newport Jazz Festivals in 2015. Joey Alexander became first the Indonesian act to enter the Billboard 200 chart when My Favorite Things debuted at number 174. Josiah Alexander Sila was born in Denpasar, Bali, Indonesia, to parents Denny Sila and Farah Leonora Urbach, who ran an adventure tourism business.His father was an amateur musician, and both parents were fans of jazz, particularly Louis Armstrong. He is the nephew of the rock singer Nafa Urbach, and the Indonesian musician and song-writer Alam Urbach. He learned about jazz by listening to classic albums his father gave him. By age six, he had taught himself to play piano using a miniature, electric keyboard his father brought home for him, learning by ear compositions such as Thelonious Monk's "Well, You Needn't" and other songs from his father's jazz collection. He later said learning the instrument came naturally to him, and considers his ability "a gift from God". He cites as influences John Coltrane, Harry Connick, Jr., Bill Evans, and Herbie Hancock, and he particularly admires Clifford Brown, Miles Davis, Wynton Marsalis, Brad Mehldau, Lee Morgan, Horace Silver, and McCoy Tyner. Due to the unavailability of jazz education in his home town, he participated in jam sessions in Bali and Jakarta, where his family moved after disbanding their tourism business so he could live near Indonesia's top jazz musicians. When he was eight, he played for Herbie Hancock when Hancock was visiting Jakarta as a UNESCO goodwill ambassador. 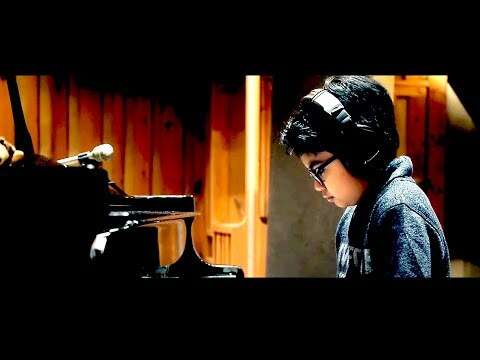 Hancock told Joey Alexander that he believed in him, and Joey Alexander later called that time "the day I decided to dedicate my childhood to jazz". At age 9, he won the Grand Prix at the 2013 Master-Jam Fest, an all-ages jazz competition in Odessa, Ukraine, which included 43 musicians from 17 nations. In 2014, he and his family moved to New York City. Jazz trumpeter Wynton Marsalis, artistic director of Jazz at Lincoln Center, learned about Joey Alexander after a friend suggested he watch a YouTube video clip of him playing compositions by Coltrane, Monk and Chick Corea. Marsalis praised Joey Alexander as "my hero" on his Facebook page, and invited him to appear at his organization's gala in May 2014, when he was 10. It marked Joey Alexander's United States debut. He received positive reviews for his performance, particularly for his solo version of the Monk song "'Round Midnight", The New York Times said he became an "overnight sensation" after the performance. Allen Morrison of Down Beat magazine said of the performance: "If the word 'genius' still means anything, it applies to this prodigy. He played his own solo variations on 'Round Midnight' with a breathtaking precocity and mastery of several decades of piano style." Marsalis said of him: "There has never been anyone that you can think of who could play like that at his age. I loved everything about his playing – his rhythm, his confidence, his understanding of the music." Jeanne Moutoussamy-Ashe, widow of tennis player Arthur Ashe, invited Joey Alexander to perform at the Arthur Ashe Learning Center gala, where he played for a crowd that included former U.S. President Bill Clinton. Moutoussamy-Ashe introduced him to Gordon Uehling III, founder of the CourtSense Tennis Training Center, who has allowed Joey Alexander and his family to stay at his estate in Alpine, New Jersey. Joey Alexander played at A Great Night in Harlem at the Apollo Theater, a performance honoring Herbie Hancock. His performance at the University of the District of Columbia garnered viral attention on the internet, drawing more than 500,000 views on Facebook. He also played in a concert with students of the Juilliard School, the proceeds of which funded his continuing stay in New York City. The concert, which received national media attention on NBC News, was successful enough for him to obtain an O-1B visa, which is granted to "individuals with extraordinary ability". He also gave concert performances in 2014 at the Copenhagen Jazz Festival and the International Java Jazz Festival in Jakarta. Joey Alexander's debut album, My Favorite Things, was released on May 12, 2015, on the Harlem-based label Motéma Music and produced by Jason Olaine. He was 11 at the time of its release. He began recording the album in October 2014. He arranged all the songs on the album, which includes renditions of "'Round Midnight", Coltrane's "Giant Steps" and Billy Strayhorn's "Lush Life". It also includes an original composition called "Ma Blues", which was inspired by Bobby Timmons' "Moanin'". My Favorite Things features Joey Alexander's working band of Russell Hall, Alphonso Horne and Sammy Miller, as well as guest performers Larry Grenadier and Ulysses Owens. He had several performances in 2015, including one at the Montreal International Jazz Festival, and another at the Newport Jazz Festival in August. Newport producer George Wein is reluctant to sign alleged child prodigies, but made an exception after Moutoussamy-Ashe took Joey Alexander to Wein's Manhattan apartment to play for him. Wein said he distinguished himself with "the maturity of his harmonic approach". The Jazz at Lincoln Center has expressed interest in incorporating Joey Alexander into its educational outreach efforts, hoping to encourage young people to listen to jazz music. In February 2016, Joey Alexander was a runner-up through his nomination for the Grammy Awards Best Jazz Instrumental Album (for My Favorite Things) and Best Improvised Jazz Solo (for "Giant Steps"). He performed live at the Premiere Ceremony, the pre-telecast ceremony at the Grammy Awards. Joey Alexander has no reviews.